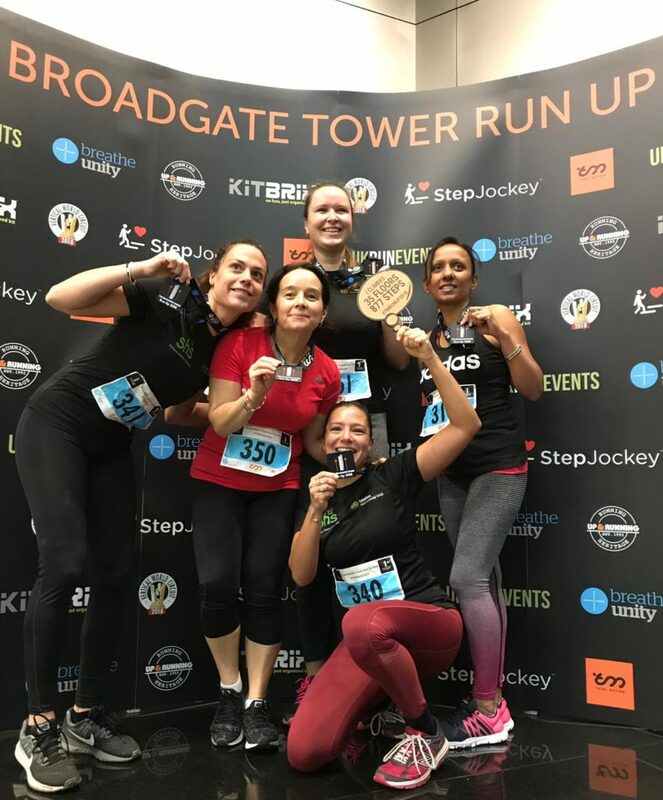 School-Home Support | LSEG’s Sabine Putane wins the female Vertical Mile Challenge! LSEG’s Sabine Putane wins the female Vertical Mile Challenge! It was a magnificent day for LSEG’s Tower Climb Team on Saturday. 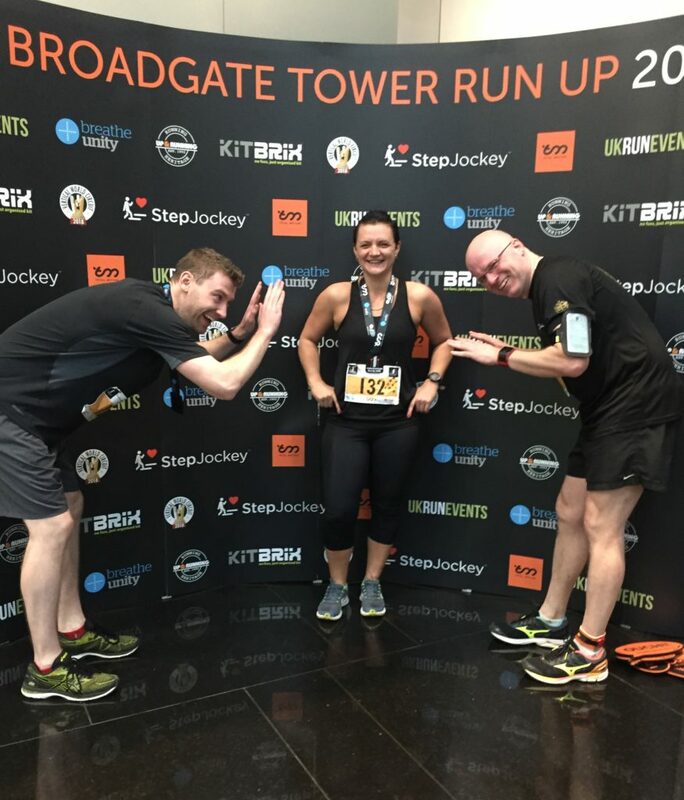 The elite group of Laurence Freeman, Cian Mahony and Sabine Putane took on the ultimate vertical mile challenge; that’s 35 floors of the Broadgate Tower 12 times! In addition, the women’s group made up of Jo Long, Anna Carreno, Olga Sarapinaite and Savita Dubasi opted for the tough quarter mile challenge. We knew the team were confident, they’d trained hard, and these are people for whom a 5k run is equivalent to a gentle stroll for most of us. Expectations were exceeded however when Workplace Manager Sabine took the lead and won the women’s category. She’d been firmly in second place throughout the challenge, making consistent times of 7-8 minutes for each 35-floor climb. But on the 10th climb, Sabine confidently moved into first place, maintaining a comfortable and triumphant 5 minute lead to the finish! The team were raising money for LSEG’s UK charity partner School-Home Support (SHS). 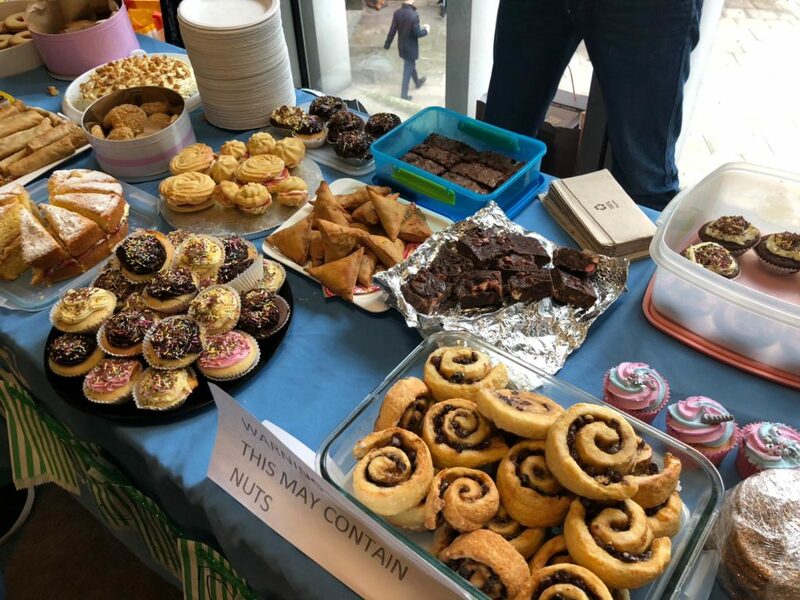 Fundraising kicked off last Friday with cake sales at the London offices which swelled the total raised to around £1,200. There’s still time to donate if you like to support the effort. Click here to check out the team’s fundraising page. Many thanks and massive congratulations to Sabine, please do feel free to congratulate her in person on a well deserved and hard won victory.